Section 6D in Traditional Quaker Christianity is called “Clerking: an Aid for Decision Making,” meaning it’s about business process. Quaker business process is generally pretty much the same at least across the Western world. We’re less certain about how it’s done in Africa and Latin America. The book makes several assertions about business process that we can both confirm we have seen in Ohio Yearly Meeting. We can also say we haven’t seen them among FGC, FUM, or Evangelical Friends. The book takes some knocks at the way other Quakers do things. Sometimes, we agree. Micah: And Canada, and basically in places that were colonizers rather than places that were colonized, the business process is generally very similar across meetings. There are some exceptions, which I will talk about later, but in general, it’s very similar. It’s super interesting that in all our differences, and all the content differences, some of the procedural stuff is generally the same across the branches. Mackenzie: You know, right before we started recording, and I said, “Well, your parents were pastors, so you’ve been to a business meeting with pastoral friends, right?”, it totally skipped out of my brain that I’ve been to a business meeting with pastoral friends too, because I went to SCYMF in October. Micah: Yeah, and I mean so did it stick out to you, the business meeting, was it extremely different at the same place? Micah: Yeah, yeah. 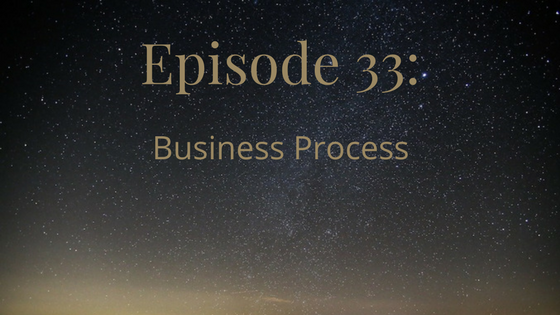 Let’s maybe just give a little rundown about what, just in general kind of terms, because it does vary, there are differences, but in general kind of terms, sort of what is Quaker business process in a nutshell? Mackenzie: In general, the idea is that we are all seeking to discern God’s will for the community. You could call it a congregational business meeting, usually the entire meeting community is invited to be there, there are plenty of people who go. Sitting around for two hours making business decisions, no, no thank you, I’m going to go play with my kid. Micah: Which often excludes people with life responsibilities. Mackenzie: Right, and there’s certainly a problem with a lot of meetings not having child care during a business meeting, and that keeps parents from being able to attend. I don’t have kids, but I certainly appreciate that my meeting has childcare for every business meeting. Mackenzie: It’s not like you have to ask in advance, there will be childcare. Micah: I’m cantankerous, I would just bring my kids to a business meeting, see how people like it. Mackenzie: Anyway, so the idea is that we’re all seeking to discern God’s will, and at least as I’ve experienced it, there’s an agenda usually set in advance, although the agenda can be kind of flexible if it needs to be, but just so people know, “You know, here’s what we’re planning on talking about.” The clerk will bring up, you know the book is actually about the clerking part specifically, so the presiding clerk, they set an agenda, they bring up each topic and help facilitate moving through them. If somebody has something that they believe is, it’s not something relevant to the topic that they believe God wants them to say on the topic, then they say it. Mackenzie: Generally, you don’t speak more than once on a given agenda item, but speaking more than once throughout the entire business meeting would not be unusual. Micah: The principle here, and that becomes important in larger groups, but the principle here is that the meeting for worship should be a time of shared listening for God’s guidance, rather than a back and forth discussion. Mackenzie: Which, okay, and actually that’s something, is that it’s meeting for worship for a conduct of business. Micah: Liberal Quakers say that. Mackenzie: Okay, whereas I think with the rural Quakers, we make sure to say the “for worship” for the conduct of business to remind people that we’re supposed to be doing this worshipfully. Micah: Yeah, I think that’s fair, I think it’s good to remind ourselves that meetings for business to be held in a worshipful spirit, because the whole point … I see where the rural friends are coming from with the whole meeting for worship with intention of business in that both the worship experience and the business meeting experience are ultimately about hearing and responding to God’s will, so they are similar in that regard, and they come from the same principles. Micah: Beyond Majority Rule, by [Michael Sheeran 00:06:25], it’s an amazing book. Micah: I highly recommend it. Mackenzie: Wait, I think we’re thinking of different books. Mackenzie: Because I was told that there was a woman who wrote a book decades ago where she was not a Quaker, she watched, and then wrote a book saying, “Hey, people should do consensus because it works for Quakers,” without understanding that it’s not just we’ve found something that we can all agree on. Micah: Yeah. Well, so I’m not sure whether we’re talking about different, because I think the author was from Iran, and I think he’s a Roman Catholic, but the book is Beyond Majority Rule, I believe the author’s name is Michael Sheeran, and it’s really excellent because he actually, he doesn’t just give sort of like just simply a modern day perspective of a Quaker meeting for business, although he does do that because he actually went and spent a significant amount of time researching in Philadelphia yearly meeting going to business meeting, observing the practice, taking notes, basically as like a sociologist or an anthropologist, observing what’s actually happening, as an observer, but he also gives an extensive treatment of Quaker history, and Quaker history with the objective of looking at how Quaker business process emerged. Micah: It’s really really interesting to read, because he, as a Roman Catholic, he’s very concerned, as I think most Christians are when you get into the deep theology, he’s very concerned with the idea of infallibility, and actually he helped me realize how important the idea of infallibility is to all Christians, and like what’s infallible. For the Roman Catholic church, it’s the church, structure is infallible, and basically teaching correct doctrine. For Protestants, what is treated as infallible is the Bible, and implicitly, certain interpretations of the Bible. For Quakers, and he draws this out in the text, for Quakers, what’s infallible is the holy spirit, and so finding that infallible source of truth in the meeting for worship and the meeting for business, and that being the foundation. Mackenzie: Okay. Yeah, I think we’re both thinking of different books, I haven’t read that one either, but I just remember being told about how the use of consensus to describe what we’re doing was, like that there was a secularization of it, there was some book that really secularized it. Micah: I think I just sort of described what the general contours of [crosstalk 00:09:08], and I think that some of the differences, like one of the differences I think is probably that in different contexts, there’s a different level of the ability of the clerk, I guess a certain level of authority given to the clerk, I think probably in a lot of liberal Quaker groups, the clerk has less authority and the clerk is more like a clerk, in the sense of like they’re there to record decisions and to take notes on the will of the group. Mackenzie: But on the other hand, as the book points out in page 134, like my experience with liberal groups is that you don’t speak during business meeting until the clerk says that you’re allowed to speak. Whereas they say in here that in Ohio yearly meeting, and I’ve been to a few of their business meetings, and I don’t think I noticed them doing this, but things just kind of flow very nicely there, but I didn’t pay attention to the structure of that, that people would just speak to the business when they felt moved. Micah: I think I really understand why liberal Quakers often, and not just liberal Quakers actually, I think among traditionalist pastoral Quakers, you also need to be, I think in general outside of Ohio yearly meeting, you probably need to be acknowledged by the clerk to speak, in a formal business meeting. I think that’s actually fairly normal, but I think Ohio is the outlier here. Micah: But I think that Ohio does it better. I think they do it better, but that’s not to say that they’re doing it wrong. I think the reason Ohio yearly meeting is able to do things the way they do, where you don’t need to be acknowledged by the clerk to speak, but you just speak when you’re moved by God, is that in Ohio yearly meeting, and I want to emphasize that I do not see Ohio yearly meeting as perfect, they have [crosstalk 00:11:28]. Like I just want to put that out there, like I’m not trying to be an Ohio yearly meeting fundamentalist here, but in Ohio yearly meeting, there is a culture of treating the meeting for business as a worshipful space, and for treating speaking on the meeting for business as something of weight and something of spiritual discernment, rather than as a matter of personal opinion. Mackenzie: That people aren’t going to abuse the fact that they can just speak. Micah: Right, and I mean honestly, if someone is abusing that, the clerk has the authority in Ohio yearly meeting to ask them to leave space. Yeah, I think that not just liberal, but I think in also traditional as pastoral Quaker groups, I think that they lean on sort of a formal bureaucratic authority for the clerk in order to maintain order, but another way to maintain order, and to be frank, this is sort of the gospel way to maintain order, is to change your spirit and to change your culture. I think this is an area where Ohio meeting succeeds more than others. Mackenzie: Another thing that they just want to talk about when I’m talking about what the role of the clerk is, is that there are two parts, that there’s the presiding and the recording. In some yearly meetings, these are done by two different people, you have a presiding clerk and recording clerk, and sometimes it’s one person. I’m Baltimore yearly meeting, I have always seen a separate presiding clerk and reporting clerk, but when visiting Ohio yearly meeting, yep, they had … I’ve been to quarterly meetings and monthly meetings at [inaudible 00:13:31] friends meeting, and their clerk, Bridget, she would do both. Mackenzie: When I visited Sierra Cascades Yearly Meeting, they had separate presiding and recording clerks, which would explain what the presiding and the recording are. Micah: Well, so again I want to point out that this is, I actually really think like the differences in Quaker business process, there are little differences when you go different places, but I think the major divide in Quaker business is actually between conservative Quakers and everybody else. Mackenzie: I don’t know anybody at those yearly meetings, so I don’t have any point of comparison. Micah: I think in terms of the question of like how the clerk’s role operates, I think this is a particularly conservative distinction, that I hope will catch on beyond conservatives, and I think maybe has to some extent. Mackenzie: We still haven’t said what presiding and recording are though. Micah: Okay, so when I first became a Quaker, I became a Quaker as a member of Great Plains yearly meeting, which is a little yearly meeting out in Kansas, Nebraska, and Oklahoma, and they use the business process that generally you will see almost everywhere, which is you have a presiding clerk and a recording clerk. The presiding clerk sort of manages the meeting for business, recognizes people when they ask to speak, and helps the group clarify what their decisions are, or what decisions the group perceives the holy spirit is leading them into. Micah: The recording clerk keeps minutes of the meeting, and this looks really different depending on where you are, minutes are definitely the most variable part of this process in some places, like I think probably Baltimore yearly meeting, if I recall correctly, minutes are sprawling and extensive and have lots of detail, where you almost get down to literal back and forth opinions in the minutes. Micah: Right, and then so the other end of the spectrum on this, which you see in Ohio yearly meeting and some other places, is all that is recorded, the minutes are very selective, and all that is recorded are decisions and information needed to understand why the decisions were made, right? Micah: In most yearly meetings, there’s a presiding clerk who manages the meeting and helps articulate the sense of the meeting about decisions, and there’s a recording clerk who writes everything down. In conservative yearly meetings, there is only one clerk, there’s the presiding clerk, although they just usually call it “the clerk”, and they record as well. Mackenzie: It’s almost a transcript, but not quite, it’s like an anonymized transcript with summaries. Mackenzie: Is what the recording clerk is doing in those. Micah: I find that often in the presiding/recording model the decision is made, but the decision is not the minute in that sense, we’re like, “We’re not approving the minute, we’re approving what we just said,” and then we’ll write it down. Micah: Right, and so the most extreme form of this, which I believe I did see in Great Plains yearly meeting and I’ve seen in plenty of other yearly meetings, this is pretty typical, the most extreme version of this is you agree to things in the meeting for business, the recording clerk takes notes. Then at the next meeting for business, which could be a day or more later, you reread the minutes and then approve the minutes. Mackenzie: Yeah, and in my meeting, at both my friends’ meeting, we email out the draft minutes some weeks after the business meeting. People have time to look them over, correct the spellings of their names on the nominations, et cetera, and then at the next business meeting, which is a month later, well I mean like one month after the one where the minutes were taken, at the end of meeting, say, “Okay, and now for approving last month’s minutes, are there any corrections needed? Okay, are they approved?”, and then we’ll just say yes/no then. Mackenzie: I don’t actually know why my meeting does it as a month apart, because on the other hand, in Baltimore yearly meeting, at our interim sessions, because we don’t only meet yearly, at our interim sessions the way it’s been done is that there’s a presiding and a recording clerk, and then every half hour or so, we’ll pause, or like maybe after a decision or maybe after like two or three decisions, we’ll pause and the presiding clerk will ask the recording clerk for the minutes so far. Actually, [inaudible 00:20:58] meeting does this as well, but they have the same recording clerk as BYM, he’ll read out a long section of minutes, ask for corrections or an approval then for, “Okay, so for the last half hour’s worth of minutes, do we approve or do we need corrections?” Then so at least the same people there, and it’s pretty immediate. Micah: That’s better. What I don’t understand honestly, like is not only that I think the conservative way of doing things is better, but I genuinely don’t understand why the other ways could be considered more helpful, like is time saved by doing it this way? Like it seems like the same amount of time you spend on the front or on the back. Mackenzie: I really have no idea why. Mackenzie: The only thing that I have seen useful was that when you do it as written minutes, as opposed to read out loud minutes, is that you can tell people if they spelled your name wrong. Micah: Yeah, content. A part of this section that we’re reading is really about the role of the clerk. I was saying earlier, and maybe I was wrong in saying it, but at the very beginning of this episode, I was saying that I thought that the conservative model reminds me of the more traditionalist model, gives more authority to the clerk. Maybe that’s not true, but I want to maybe have some back and forth about that. Mackenzie: I think maybe more responsibility to the clerk, because the clerk has to synthesize the messages in to one united hole. Micah: I guess like, and this may not be actually a conservative thing, this may be, or not only a conservative thing, but I feel like in more pastoral branches in particular and maybe in conservative friends, the clerk theoretically, and I think this is theoretically true in a lot of places, the clerk theoretically has a lot of authority to declare what the sense of the meeting is, even if the large part of the meeting disagrees, and this happens. An example I could give, it’s rare, but it happens, and an example would be, I know that in Northwest yearly meeting many years ago, like maybe 10 or 20 years ago, there was a disagreement about what they should affiliate to FWCC. Mackenzie: With those heathen liberal Quakers, yeah. Mackenzie: Oh, but wouldn’t that involve changing their term? I’m being sarcastic, for the record. Micah: I think this is something that’s really important I think in the Quaker tradition that a lot of Quakers aren’t aware of, is that when we say that it’s not consensus, it’s the sense of the meeting, this is a part of it. You don’t all have to agree to make a decision. Micah: Which is, I’m sorry, but it’s really really hard to clerk in a tiny group, because I’ve been a part of a meeting of literally five members, five, and there’s five of us within this meeting, one of us is the clerk. There were times when we really needed the clerk’s opinion, we needed her guidance as an individual, not just as the administrative job of the clerk, but we needed her to give us her sense, and she didn’t feel like she could because she was the clerk. Micah: That’s a terrible idea. Mackenzie: Yeah, they’re like, “That’s manipulating, don’t do that,” but that’s a good point about small groups. It’s funny because this book is written by people where the typical meeting is less than 10 people. Micah: Yes, yeah. No, I mean like the person I’m talking about is one of the authors of this book, and she’s an excellent clerk, she’s one of the best living clerks in North America. Micah: Fair enough, it’s fair enough. Susan Smith is a phenomenal clerk. I’m pretty sure she has taught workshops on clerking, she should teach more workshops on clerking because she’s an expert, although she would never ever say so. It was a difficult thing in Rockingham meeting, where my wife and I were members, and still are affiliate members, in business meeting, sometimes we really felt like we needed Susan’s guidance, and her philosophy on clerking, which in general I agree with, is that you shouldn’t be in it, and so she stayed back from it, and sometimes that was really hard. Micah: Being in a very very small group with a clerk who retains sort of … The clerk ideally, I think in the conservative mind and I think in my mind, the clerk is sort of like an interpreter, the clerk is listening. When you’re interpreting, so like I’ve done simultaneous interpretation between English and Spanish, and when you’re interpreting through two people speaking, you sort of just become this conduit. I think at its best, clerking becomes something like that, where you are listening to much to how God is speaking through the group and among the group, that you sort of lose yourself in it, and your focus becomes entirely the will of God and the group, and not your own opinion. Mackenzie: I mean, I don’t think that’s only in the conservative thing, I think that’s true regardless. Micah: I would say that ideally we would all act like the clerk, ideally we would all take a step back and really try to hear about speaking in the group, within the group, and not try to speak our own opinions, because the clerk is a special discipline, because they’re uniquely responsible. Mackenzie: Right, but I think that the clerk is not only acting in that way in conservatives, I think that’s how it is, or should be, in general. Micah: You’re right. I think the difference that I’ve experienced in some Quaker groups, and it’s not only conservative Quaker groups actually, is that along with the great responsibility that the clerk has comes authority too, and like I say, like I don’t know how often if ever it happens in liberal Quaker groups that a clerk would move ahead with a decision despite outstanding opposition, but like that can happen in other Quaker groups, where the clerk has more authority. Mackenzie: I know with my meetings, decisions about renovations, because we have run out of space for first day school classrooms, and we don’t have enough space for our after-meeting potlucks and all of that. There was definitely contentious business meetings, and it took several business meetings to decide what our floor plan was going to be. The final one of those involved, we had gotten down to two possible floor plans, and the clerk asked, “Are we in unity on this one?”, and there were a lot of people who said no. “Okay, are we in unity on the other one?”, and only a few people said no that time. Micah: It’s nice in those situations, and frankly, in such a decision of limited consequence, it’s nice when people can stand aside a little. I think sometimes standing aside happens far too early in the process. Mackenzie: This was like three years. Mackenzie: I laugh too loud. Mackenzie: It’s like the movie Minority Report. Mackenzie: Mm-hmm (affirmative), and something that we haven’t talked about that is mentioned toward the end of this chapter in the book is that everybody who’s in there, and the clerk has to all be comfortable with the fact that there is going to be a bunch of silence, like the clerk can’t just be sitting there like, “Okay, so anybody want to say anything about the item I brought up? Hello, anyone? Because there’s going to be …”, you know it’s pretty common that there’s a little while where we’re sitting there and waiting for there for them to be something for them to say. Micah: If anything, it’s often the clerk’s role to impose more silence. 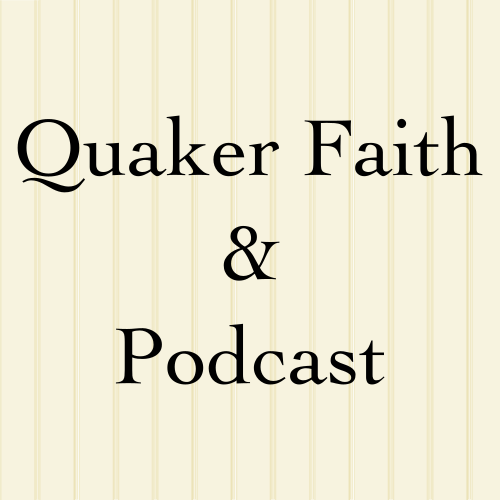 Mackenzie: You can find us on the web at quakerpodcast.org, as Quaker Podcast on Twitter, Facebook or Patreon, and on iTunes. Liked it? Take a second to support Quaker Faith & Podcast on Patreon! We are on Patreon. Any funds you contribute are used to produce accessible text transcripts.